Everyone remembers getting their first TV in the 1950s. Getting your first color TV in the 1960s was a similar experience. Color technology was developed in the 1940s and was first demonstrated to the public in 1950. The RCA color system was chosen as the industry standard in 1953. 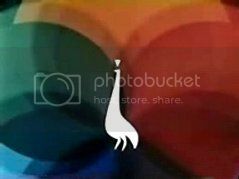 NBC aired a limited number of color programs in the 1950s and adopted the NBC Peacock as their color logo in 1956. CBS and ABC were reluctant to join the color revolution. Color equipment was expensive, and many network affiliates were unable to broadcast in color. The TV sets were also very expensive. Consequently, most programs were in black & white until the mid 1960s. 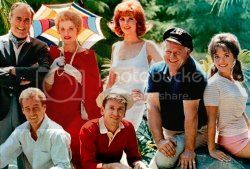 In 1965, each network was broadcasting a portion of its shows in color: ABC at 35 percent, CBS at 50 percent and NBC at 95 percent. The networks launched full-color primetime schedules in 1966. Color TV was a very big deal in the 1960s, and the networks used it to their full advantage. Variety shows went out of their way to make their sets extra colorful. Shows like Disney's Wonderful World Of Color and logos like the NBC Peacock made sure you knew that the program you were watching was IN LIVING COLOR. Cable TV was invented in 1948 to bring television programming to areas with poor reception. Cable operators used large antennas and microwave towers to pick up signals from distant cities, which they transmitted to their subscribers via coaxial cable. The cable industry grew steadily in rural areas and small towns. By 1970, nearly 8 percent of American households were subscribers. Before satellite transmission was introduced in 1975, cable TV was known as CATV, or Community Antenna Television. At this point, cable systems could carry a maximum of 12 channels. There weren't any specialty channels yet, just the standard network fare. In the mid 1960s, enthusiasm for the new medium began to diminish. Cable TV was not available in most urban areas, which severely limited the number of potential customers. The broadcast networks considered cable TV a threat, especially when cable operators chose to carry distant stations at the expense of local stations. FCC rulings in 1966 and 1968 placed harsh restrictions on cable content and banned the formation of new systems in many areas of the country. These factors slowed the growth of the industry tremendously in the early 1970s. Say No To Cable TV! Channels 2 to 13 are located in the Very High Frequency (VHF) band. Channels 14 to 83 are located in the Ultra High Frequency (UHF) band. The first UHF channels were made available to the television industry in 1952, but they were not very successful. The quality of the UHF signal was inferior to VHF, and many older TV sets couldn't receive the UHF band. Converters were available, but were not widely used. In 1962, Congress enacted the All-Channel Receiver Act, which required that all new television sets contain both VHF and UHF tuners. 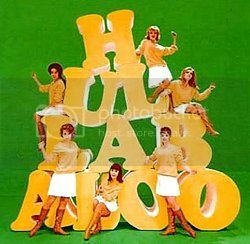 The outlook for UHF began to improve, although UHF stations were still regarded as the "black sheep" of the TV industry. In response, these stations devised ways to stand out from their peers by devoting themselves to highly specialized content, such as local sports and ethnic programming. Look that up in your Funk & Wagnalls! In 1952, the FCC set aside 242 channels for educational use. By 1964, there were 100 educational stations on the air. Some stations were owned by universities, while others were supported by subscriptions and local cultural groups. In the 1950s and early 1960s, educational stations formed special distribution networks. This made it possible for them to coordinate their efforts and share programming. The two biggest networks were National Educational Television (NET), a nationwide network formed in 1952, and the Eastern Educational Network (EEN), a regional network formed in 1961. Federal funding arrived in 1967 when Congress formed the Corporation For Public Broadcasting (CPB). The CPB worked closely with the distribution networks to fund stations and provide programming. In 1969, the CPB announced the formation of their own network, the Public Broadcasting Service (PBS). After PBS began broadcasting in 1970, NET was phased out and EEN became a syndication service. In the 1960s, local programming was still very important. On a typical station, less than half of the programs aired on any given day were network shows. The remaining hours were filled with local news broadcasts, old movies, children's shows, weather reports and public affairs programs. After the daily network feed ended, it was time for the Late Show and the Late, Late Show. In the wee hours, old horror movies were introduced by hosts dressed like Dracula, and the creature feature was born. In Phoenix, the children's show Wallace & Ladmo was one of the most popular local programs ever produced. It spawned a chain of drive-in restaurants and a Beatles parody group known as Hubcap & The Wheels. Bozo The Clown first appeared on local television in the 1940s. Larry Harmon purchased the rights to the character in 1956 and launched a chain of Bozo shows in 1959. By 1965, over 30 cities had a Bozo show on the air. Chicago's Bozo was the most famous of them all....his show stayed on the air for an incredible 40 years, from 1961 to 2001. 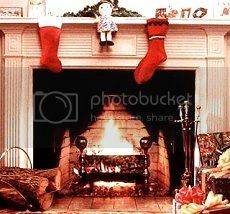 The Yule Log consisted of just two things: a roaring fire in a fireplace and three hours of classic Christmas music. Every year on Christmas Eve, New York City viewers could tune in and enjoy their very own virtual Christmas hearth. It first aired on WPIX-TV in 1966. 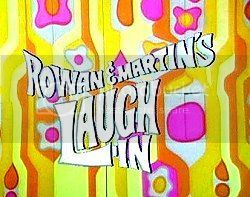 Comedy shows ranged from wholesome family sitcoms like Leave It To Beaver to the innovative topical humor of Rowan & Martin's Laugh-In. 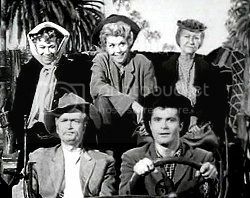 Along the way, we were treated to rural sitcoms like Green Acres, and we had no trouble believing that five passengers on a three-hour tour would pack enough provisions to survive for three years on a deserted island. 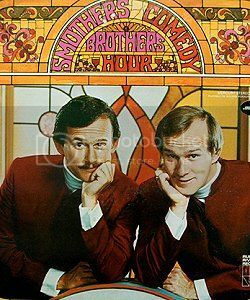 Music and variety shows ruled the airwaves in the 1960s. Before music videos and videocassettes were common, these programs provided us with a chance to see our favorite singers, rock bands and comedians perform. They were also instrumental in giving many new performers their start. In the 1960s, an appearance on The Ed Sullivan Show was a sign that an artist had finally made it. 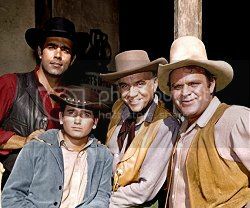 Westerns and science fiction shows were as popular as ever, and the exciting world of the secret agent gave us shows like Mission Impossible and The Avengers. And as for Dr. Kildare and Ben Casey....they can remove my appendix any day! The first daytime dramas were only 15 minutes long. In the late 1950s, a handful of shows expanded to 30 minutes. 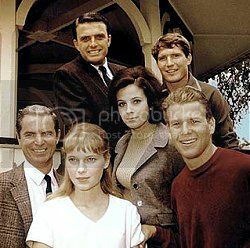 In 1968, Search For Tomorrow and Guiding Light were the last daytime dramas to adopt the longer format. 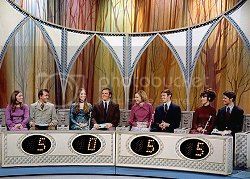 Game shows, celebrity talk shows and specials were also popular during this decade. In 1962, Jackie Kennedy's Tour Of The White House was watched by an unprecedented 80 million viewers. 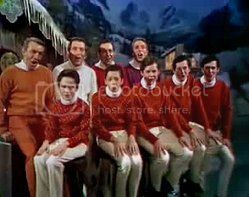 The 1960s also gave us the first animated Christmas specials. Julia Child opened a cooking school and published her first cookbook in 1961. The French Chef made its debut on Boston's public station in 1963, where it brought the art of French cooking to the average American homemaker. In 1964, the show was distributed nationally by the NET educational network. In 1966, Julia was the first public television personality to win an Emmy award. The jazzy soundtrack of A Charlie Brown Christmas was quite revolutionary in its day. Visit my Television MIDIs page to hear it! The early 1960s gave us cartoons that adults could enjoy along with their kids, such as The Flintstones and Rocky & Bullwinkle. In the late 1960s, the live action shows of Sid & Marty Krofft reflected the changing times by adopting a groovy, psychedelic look. Between 1954 and 1966, Fred Rogers worked as a producer and puppeteer at WQED in Pittsburgh and hosted his own children's show in Toronto. In 1966, he returned to WQED and launched an expanded version of his Toronto show. Mister Rogers' Neighborhood was distributed regionally in 1966 and nationally in 1968 via the EEN and NET educational networks. It moved to PBS in 1970. 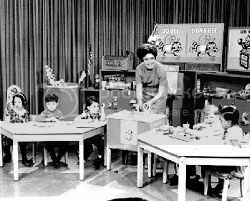 The Children's Television Workshop was formed in 1967 to help inner-city children succeed in school. The workshop's crowning achievement was a groundbreaking television show that embraced diversity and made learning fun. The name Sesame Street was chosen as a variation of the phrase Open, Sesame. 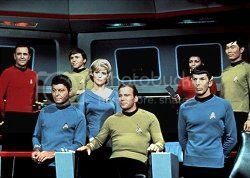 The show premiered on the NET educational network in 1969, and moved to PBS in 1970. The rest is history!